Everyone knows that the flu season can be tough on humans of all ages. However, did you realize that dogs can suffer from the flu, too? 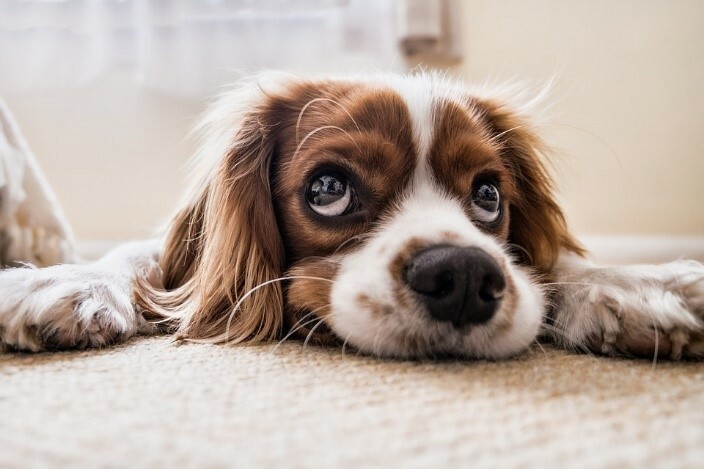 Canine influenza is a disease that can affect your furry friends, and it can help to learn about the disease to make sure you help prevent your dog from getting it or to treat him properly should he get sick. Here is some helpful info that you should know about canine influenza. Canine influenza is the canine flu or dog flu. It is a highly contagious disease that can give your dog terrible flu symptoms, like coughing, fever, lethargy, runny nose and eyes and more. The canine flu presents itself a lot like the flu does in humans, and it is a mainly respiratory-focused virus. Much like the human flu, dog flu is spread by respiratory secretions like coughing and sneezing. It can spread between dogs but it can also spread between species, including humans. People can pick up dog flu from breathing in respiratory secretions of dogs or by touching the secretions and then touching their eyes, nose or mouth. Be sure to wash and disinfect all surfaces that your sick dog has come in contact with if your dog contracts canine influenza. Can I Prevent My Dog from Getting Canine Influenza? Keep them away from doggy daycares, dog parks and other places that dogs are. What Do I Do If I Think My Dog Has the Flu? If your dog gets a fever, seems lethargic, contracts a cough or gets any other symptoms of dog flu, then you should take action right away. First, isolate the dog from other dogs and animals. Then, disinfect surfaces he has come in contact with. Contact your vet for any helpful advice but most likely, the course of treatment includes simply keeping your dog comfortable and supported at home. Ensure he stays well hydrated and warm at home, and feed him a healthy diet. You can expect the flu to last 10 to 30 days. If your dog has the flu, also make sure you protect yourself. When caring for him, wear gloves and protective garments. Make sure you wash your hands and disinfect anything that your dog comes in contact with and regularly take showers to ensure you're not spreading any germs. Canine influenza is a disease that can make your dog sick. However, by arming yourself with the knowledge of how the disease is contracted and treated, you can ensure that you keep your dog safe and well.